“You know you have been calling for me. You called and called and called. You wanted me and here I am.” Old man Richard lives alone after the death of his wife, Meredith, due to cancer. One would expect the usual sad and lonely widower who misses his late wife but no. Richard is different. He has regrets and anger instead. He regrets the fact that he married Meredith and not Beth, his brother’s wife. He thinks so little of his seven adult children, branding some of them as a drunk, a prick, and even a mistake. One night, while he is lying in his bed, an intruder enters his home and helps himself in the kitchen. Furious, Richard investigates and finds an unusual person. He also finds out that his thoughts can be the ground zero for his sins. This is a very short story and I reread it twice. 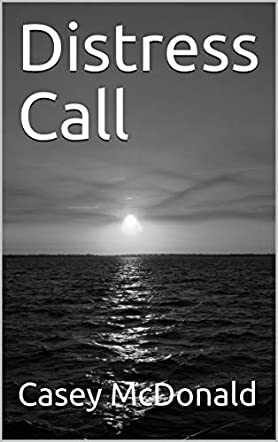 Casey McDonald starts on a solid note with Distress Call which escalates to a psychological horror with good execution. The protagonist is established solidly enough despite the short length. The outcome is not that difficult to figure out but the characterization, the suspense, and the horrific moments are well done. Readers will quickly understand the meaning of the title once the truth is revealed. All in all, Distress Call is a brief but entertaining horror tale. I look forward to reading more of McDonald’s work in this genre and, in the meantime, I’ll be a bit more careful with my thoughts.